You are here: Home / Travel Talk / Are You Leaving Your Vacation Days on the Table? It’s About Time You Use Them Up! If you work for the man and are not using up your vacation days, you should rethink that. Kev has a ton of vacation days left this year and probably won’t have a chance to use them all up. He decided we should take another vacation this year (who am I to argue with THAT?) so we decided to book a cruise for him to use up more vacation days. But it’s hard for him (or I) to really be away more than a week or so at a time due to our pets and other commitments. 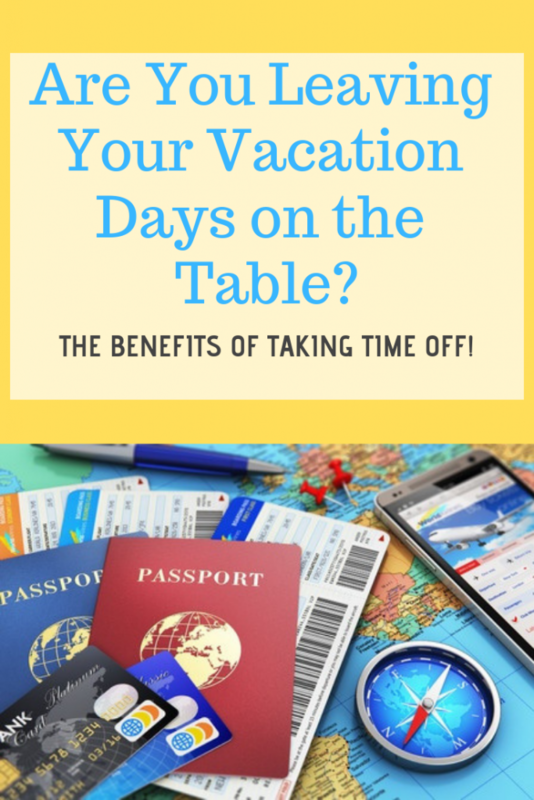 There are so many benefits of using your vacation time. I have listed a few below. Did you read that? Now I know why we work so hard to take yearly vacations. If I had it my way, we would be taking a lot more. I am working towards that goal but for now 1-2 a year will have to suffice. Here are more benefits of taking time off. Every time we go on vacation, I feel that I am more productive AND creative when I return. And the reboot seems to always be just what I need to help grow my business(es). I truly believe traveling can help ease stress. This is Kev in Roatan. I will however be setting my email vacation notification to away and thankfully we have a house and pet sitter so things are totally covered on the home front with no reason to worry. According to these studies, women who hardly ever took a vacation were EIGHT TIMES more likely to develop heart disease or have a heart attack than those who took 2+ vacations a year. Ouch! Our trip coming up this month was planned short notice (our first cruise) so it’s a bit more exciting not having to wait months to leave on vacation like we usually do. I have done a lot of research for this trip in a short amount of time and it’s been really exciting so the anticipation is quite fun. A study mentioned on the NY Times, finds that your happiness boost comes from planning and anticipation of a trip. They suggest that people might get more from taking a few smaller trips a year rather than one big one. Here are 7 simple ways to unplug while on vacation that I found interesting. Number 1 and 7 are perfect for me. I hope to take some time to read while sitting on our cabin’s balcony but Kev doesn’t read so we are usually on the go. Maybe I’ll read when he naps! Since we are going on our first cruise this month, there won’t be much time to connect to the Internet anyway. And from what I hear, even with purchasing an Internet package, the connection is not always that great. Maybe I’ll finally use a journal to keep notes about our trip instead of always being connected while we are away. What are your thoughts on fully unplugging if you are like me and have a business? Say what? That is crazy but I totally see how it can happen because Kev doesn’t ever use up all of his. I hope to change that in 2019! 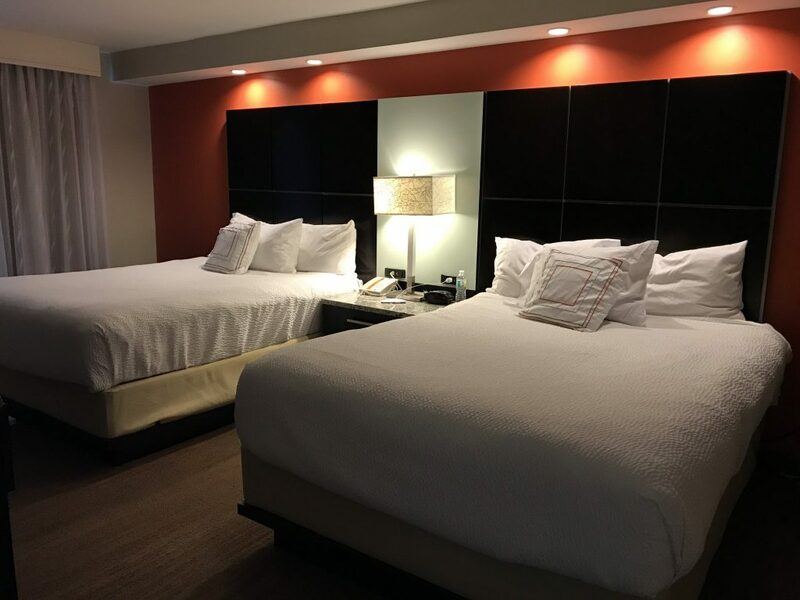 If you feel you can’t really take a full vacation away from your area have you ever thought of taking a staycation. Staying near your hometown or even driving one state over might do you good. I would much prefer to get out of dodge on a plane and have a change of scenery (umm like a beautiful beach with soft white sand and blue ocean waters) but if that is all you can do, make the most of it and take a staycation. I believe if you take baby steps to start making it a point to take time off and make travel a priority, you’ll be in a much better place. Even happier! And like I mentioned more productive. Don’t get burnt out. Get traveling. 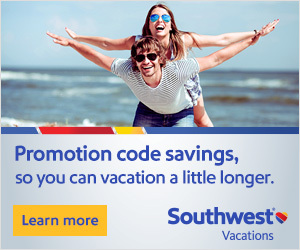 How many vacations do you take a year? 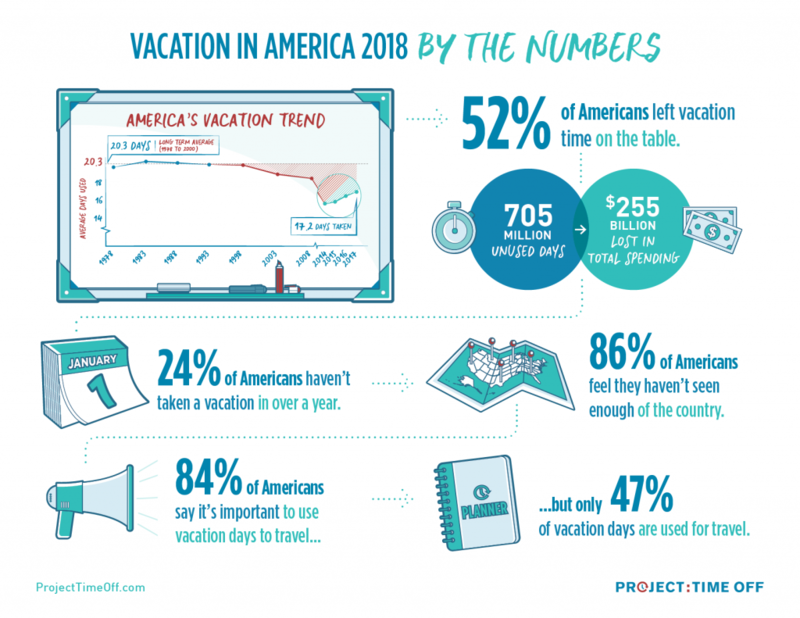 If you work outside the home, do you use up all your vacation time? it’s easy to get in a cycle of overwork, I’m trying to be better about this and take more vacation time! Me too! I am even going to leave my laptop at home when we take our trip later this month. I’m starting to get anxiety about THAT lol I’ll still have my iPhone and iPad but still it’s going to be weird for me. Hope hubby won’t bring his either. We’ll see. Yes definitely! And thanks, I really think everyone needs to take time off for a reboot.